Add the words “digital” to any process and you are likely to lose some of your audience. It can be particularly true in manufacturing where the industry has always been about hard-working people working hard. Oh sure, manufacturer’s have embraced automation and even robotics to some degree, but not without at least some doubt or reluctance. Attend any manufacturing-related conference, convention or trade show today and there will likely to be one, or several, presentations on digital manufacturing. What exactly is digital manufacturing? What are the three elements of digital manufacturing and how are manufacturer’s benefiting the most from it? Digital manufacturing makes use of digital technology in the manufacturing process. It is about having the required data at the right place at the appropriate time. It, in essence, better links departments and processes to positively impact the product lifecycle. When implemented properly, digital manufacturing affects everything from design through servicing. It improves data accumulation and access to it with potentially powerful benefits in manufacturing. Digital manufacturing has three components. Product Life Cycle. Digital manufacturing effects everything from design and engineering through manufacturing and product servicing. Data is kept throughout each step, every change and revision and the impact of these changes on the product lifecycle. Smart Factory. 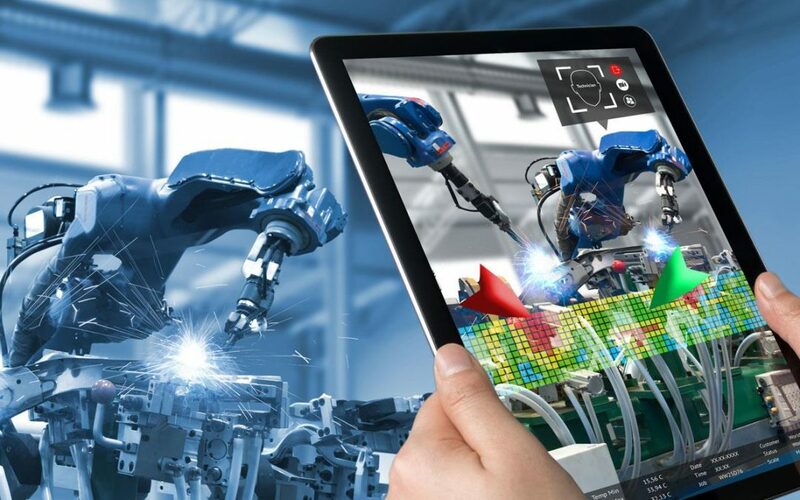 Digital manufacturing helps connects operators with smart machines, sensors and tools while gathering data from the Operations Technology and sharing it with IT systems. This allows for better analysis of overall production data, improving on the performance of your smart machines. Value Chain Management. Digital manufacturing improves value chain management by minimizing resources and inventories while resulting in better products. This, of course, should lead to increased customer satisfaction, which is just one of the benefits of digital manufacturing. There are a number of benefits to digital marketing for manufacturers. These benefits span across all departments. A recent McKinsey & Company survey involving over 700 respondents from companies of over 50 employees offers more insight into the role digital manufacturing is now playing in the marketplace. 92% of respondents said they believe they were level with or ahead of the competitors when it comes to digital manufacturing. 68% say digital manufacturing is their biggest priority. 70% said they are conducting pilot programs and conducting analytics on digital manufacturing’s. While this all seems to have some encouraging aspects, talent is still viewed as a barrier. The survey found that 69% viewed talent issues as a challenge to their digital manufacturing efforts. What is Pushing Digital Manufacturing Forward? Big factors in the move toward digital manufacturing are what have always pushed manufacturing forward; the desire for more efficiency and profits. However, in today’s marketplace, expectations from customers are playing an increasingly important role. Customer demands can be met much more efficiently through digital manufacturing. Higher quality prototypes can be produced quicker and overall production is improved. Digital manufacturing allows for real-time inventory control allowing for lower overhead. Changes can be made virtually “on-the-fly” providing greater flexibility and more responsiveness than ever. Digital manufacturing is essentially a tool that can help manufacturers improve their products, shorten response times and make product revisions more efficiently based on real data in real time. To not use all the tools available to us in any given era seems to be counterproductive.